Bring your fishing pole to enjoy some quality time fishing our Catch & Release Lake. When you cast, you are sure to catch something on your line. We have several types of fish in the lake just waiting to bite on your line, including bass, large mouth bass, crappie, channel cat, and hybrid blue gill. Watch your children’s eyes light up when they catch their first of the day! Fishing is a breeze from our large, shaded dock, or you can just fish from the grassy edge of the bank. There’s a peaceful water fountain feature in the middle of the lake to keep things clean and healthy. After all the excitement of the other activities during the day, some time quietly fishing and soaking in the surrounding nature is a great way to relax. 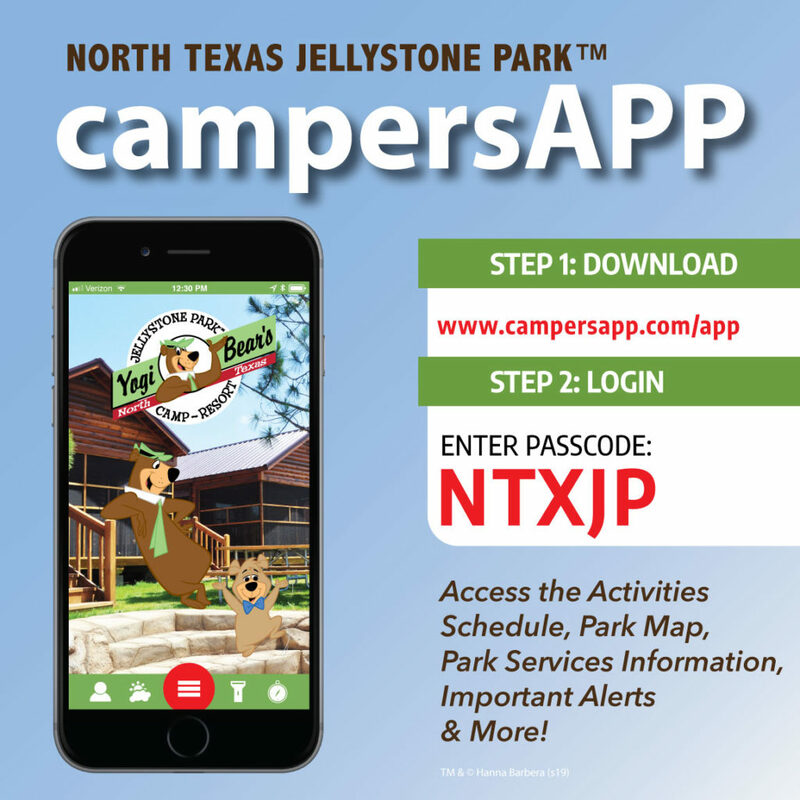 Adjacent to the Catch & Release Lake lies North Texas Jellystone Park’s™ primitive campsites, giving the lake a backdrop of woods with access to modern facilities. If you look closely, you’ll find more than just fish too! Our resident wildlife loves to hang out around the lake as well to take a refreshing drink. Remember to use bait for your best chance at catching! If you didn’t bring any with you, we have supplies in the Ranger Station.